A new map released today by scientists at Syracuse and Harvard universities shows that, compared to doing nothing, replacing the Clean Power Plan with a narrower option would make air quality worse and endanger more lives, on top of the 3,500 premature deaths and $33 billion in health costs already estimated. If EPA replaces the Clean Power Plan with a narrower “inside the fence line” alternative, it will drive up fine particle pollution, according to a new map drawn from a study by scientists at Syracuse University and Harvard T.H. Chan School of Public Health. 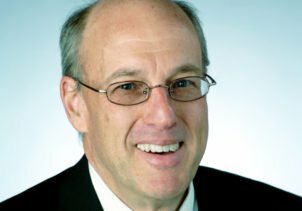 “The surprising finding from our previous study is that an ‘inside the fence line’ approach is not only worse than the Clean Power Plan, it is worse than doing nothing at all,” says Charles Driscoll, University Professor of Civil and Environmental Engineering in the College of Engineering and Computer Science Syracuse University. “We also found that the ‘inside the fence line’ approach would do little to reduce carbon dioxide emissions.” The “inside the fence” line approach would limit power plant carbon standards to improvements that can be made within a facility rather than a broad suite of options that include new renewable energy. 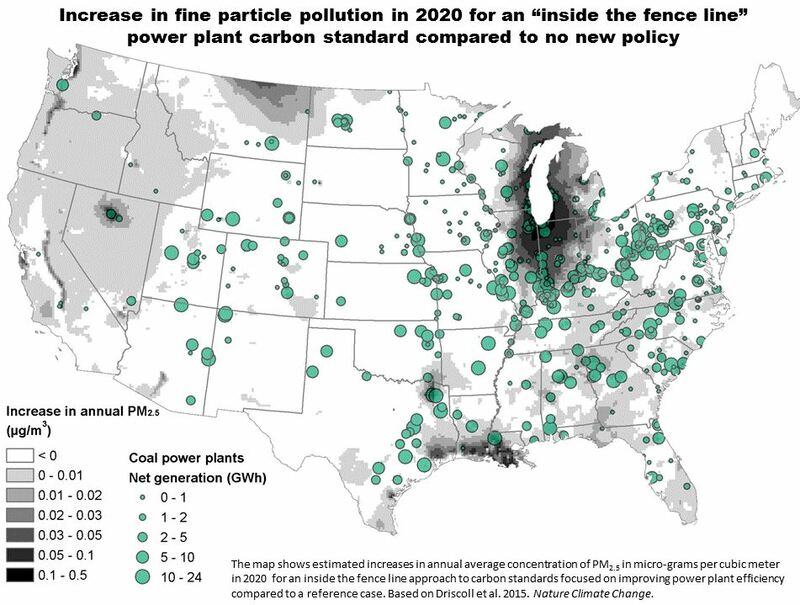 The new map shows that an “inside the fence line” approach would cause new air pollution hotspots in Illinois, Indiana, Michigan, Ohio, Texas and other states due to increased fine particle pollution. This increase in air pollution would lead to an increase in premature deaths in 17 states compared to no new policy, according to the study. Fine particle pollution is associated with increases in premature deaths, hospitalizations from respiratory and heart disease, and worsening asthma attacks in people with asthma. The impacts depicted in the new map of increased air pollution stand in sharp contrast to the benefits that the authors estimated for carbon standards like the Clean Power Plan. “Carbon standards like the Clean Power Plan would prevent approximately 3,500 premature deaths from air pollution every year, according to our study,” says Jonathan Buonocore, a research associate at the Center for Health and the Global Environment at the Harvard T.H. Chan School of Public Health. The study found that Pennsylvania, Ohio and Texas have the most to lose from the repeal of the Clean Power Plan with an estimated 230 to 330 extra premature deaths per year without flexible carbon standards like those originally proposed. “The current EPA has the cost-benefit science wrong. There is no credible evidence that there is a safe level of fine particulate pollution that does not harm health. Our study showed that the value of the health benefits would outweigh costs by $33 billion a year,” adds Buonocore. The new map and related findings are based on two peer-reviewed studies published in independent journals. The 2015 paper in Nature Climate Change, “US power plant carbon standards and clean air and health co-benefits,” quantified the air quality and public health benefits of power plant carbon standards like the Clean Power Plan and an inside the fence line approach. A 2016 paper in PLOS One, “An Analysis of Costs and Health Co-benefits for a U.S. Power Plant Carbon Standard,” calculated the costs and benefits of carbon standards like the Clean Power Plan. The deterioration in air quality under an “inside the fence line” approach would be caused by emissions rebound at coal-fired power plants, according to the study. Emission rebound refers to the increase in emissions that occurs when facilities undergo efficiency improvements and then operate more frequently and for longer periods of time, leading to increased emissions. “The bottom line is that the ‘inside the fence line’ approach would do more harm than good. Not only would it cause thousands of extra deaths and cost billions every year compared to the Clean Power Plan, it would inflict more harm than doing nothing at all,” concludes Driscoll.